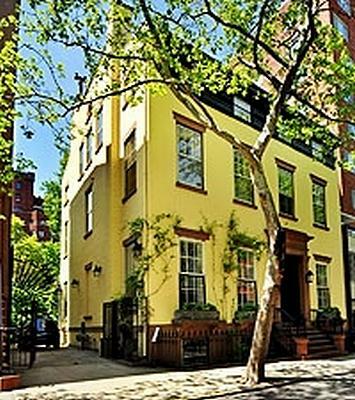 Curbed published a comprehensive guide to the landmarking of Brooklyn Heights today. As we start stocking up on Champale for the 50th Anniversary of our neighborhood’s landmark status on November 23, this piece will help you get amped up for the celebration. While you’re at it, please take some time out to rediscover Martin L. Schneider and Karl Junkersfeld’s mini-doc on the landmarking of Brooklyn Heights. Brooklyn Is My Neighborhood from The Brooklyn Bugle on Vimeo. Curbed: Dissent from within the neighborhood was fast and furious—and, unlike many neighborhoods in which Moses operated, predominantly white and upper middle class. The Brooklyn Heights Association, founded in 1910, began a campaign against the highway. In September 1942, the Brooklyn Daily Eagle, under the headline “Plan for Express Highway Is Shocking,” suggested what seemed to everyone the logical alternative: routing the BQE along Furman Street at the water’s edge. This idea was embraced by residents, especially those along Columbia Heights and Pierrepont Place, who advocated for a top deck cantilevered over the new highway to both shield them from noise and to replace their back gardens which would be destroyed during construction. Surprisingly, Moses—who believed that “When you operate in an overbuilt metropolis you have to hack your way with a meat ax”—embraced the new plan. In fact, to the chagrin of some in the Heights, he took the idea one step further, deciding that the cantilevered area over the highway should be turned into a public promenade, opening the views to the masses. Anchor’s Away For Good From 76 Montague Street?